However Roscosmos chief admitted that Elon Musk is "a talented engineer and an outstanding promoter"
MOSCOW, October 2. /TASS/. SpaceX CEO Elon Musk quotes knock-down prices on launches of his spacecraft at 40-60 million US dollars to squeeze Russia out of the space market, CEO of Russia’s state space corporation Roscosmos, Dmitry Rogozin, said on Monday. "If you compare the price Musk sells his rockets to Pentagon at and the price he quotes for them on the market, you will see that this is nothing but pure dumping. In order to drive Russia from the market he sells launches at 40 to 60 million dollars while being paid 150 million for a launch by Pentagon," he told Russia’s TV Channel One. 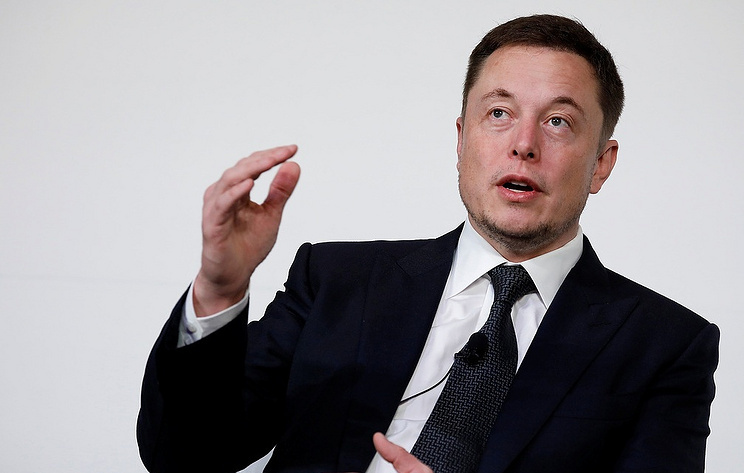 He admitted that Musk is "a talented engineer and an outstanding promoter who can show his commodity to its full advantage, make the best of it." SpaceX’s most commercially successful rocket is now Falcon 9. One of its modifications has a returnable first stage. According to open sources, a Falcon 9 launch costs from 55 to 65 million US dollars, depending on the modification.